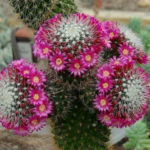 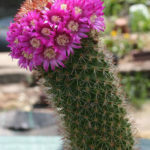 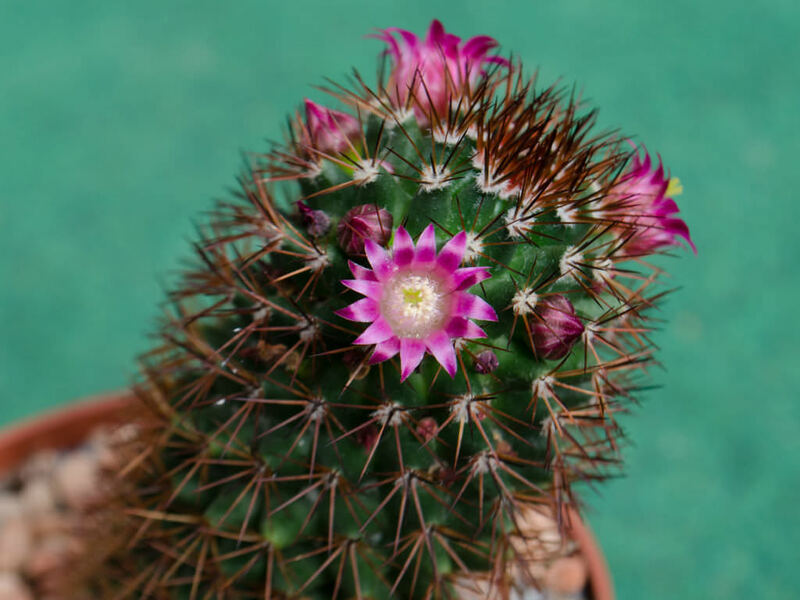 Mammillaria backebergiana is an attractive, slender, columnar cactus with yellowy or brownish-yellow spines and great purplish-red flowers circling near the top of the plant during growing season. 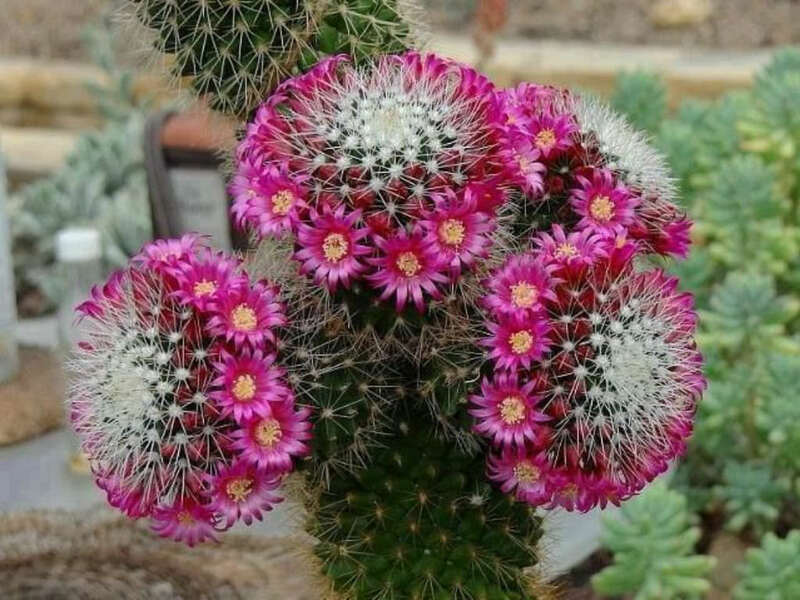 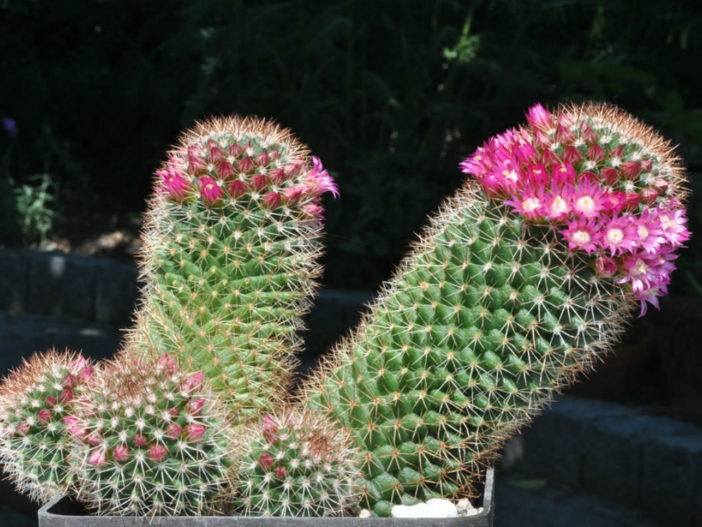 It is similar to Mammillaria spinosissima, but its stems are more slender. 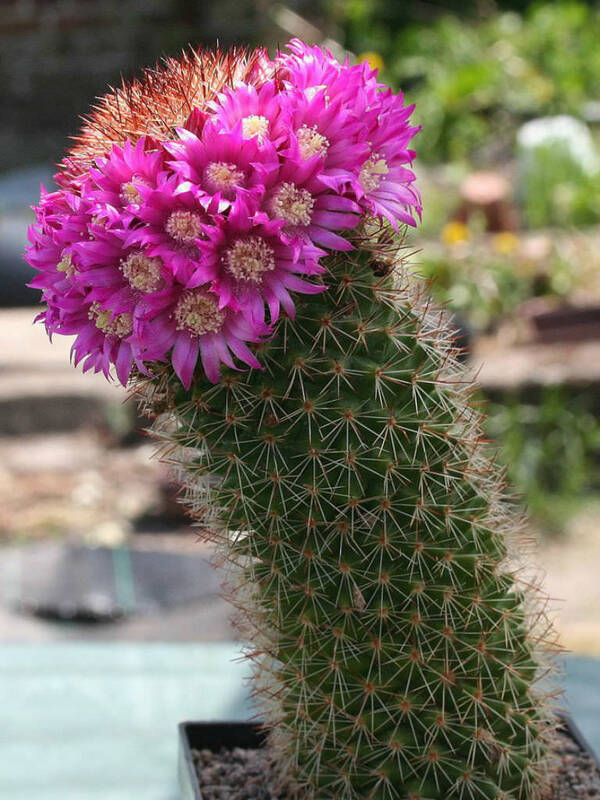 The stem is globose, becoming cylindrical, clear green, waxy, up to 12 inches (30 cm) tall and up to 2.4 inches (6 cm) in diameter. 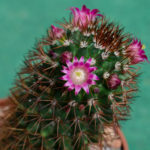 The flowers are purplish-red, up to 0.8 inch (2 cm) long and up to 0.5 inch (1.3 cm) in diameter.